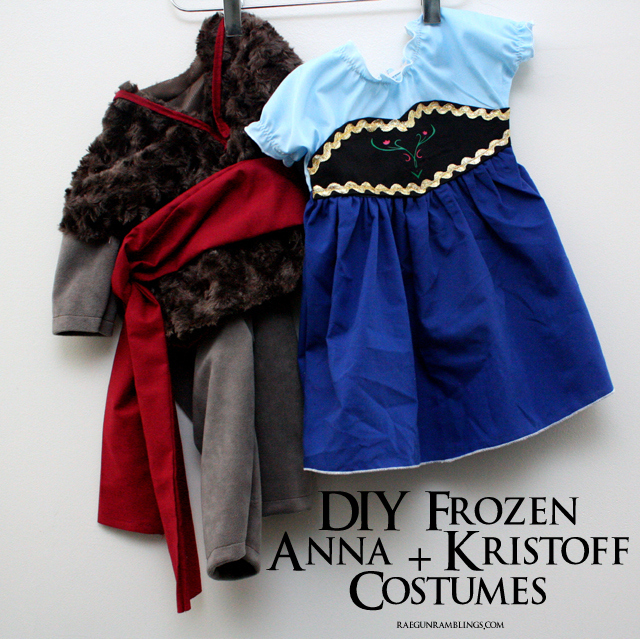 Did you see the Baby Anna costume tutorial? 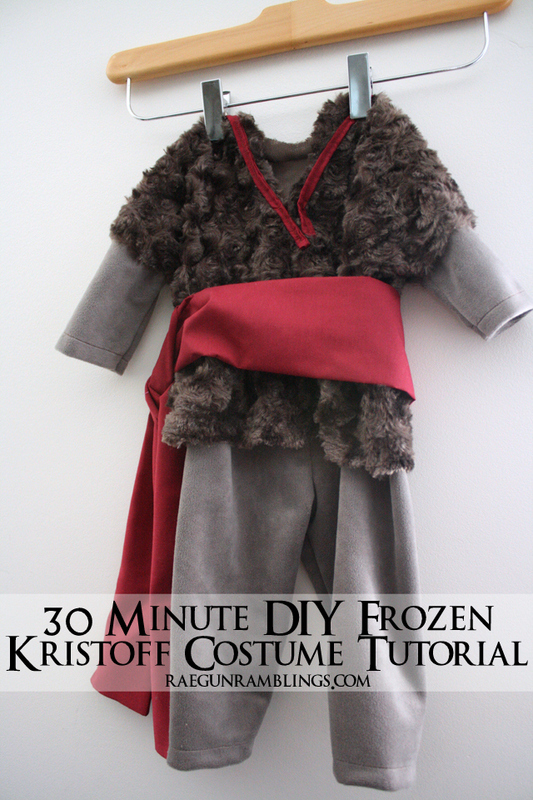 Well I promised that I’d share a tutorial for Teddy’s baby Kristoff Frozen costume so here it is. I had actually made another base gray thing but it was such a hot day when Debra and I were taking pictures that I change the costume a bit the last minute so I’m happy to report that I made this one in about 30 minutes. Easy peasy right! Make your shirt pattern. Use a top that can slide on over head without stretching or just make sure your neck hole is wide enough. 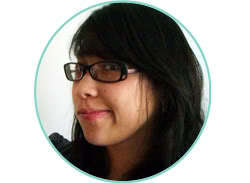 Just trace a shirt giving your self some space for seam allowances. Cut two pieces out of your fur. Make a slit in the front. Cut two rectangles out of grey. 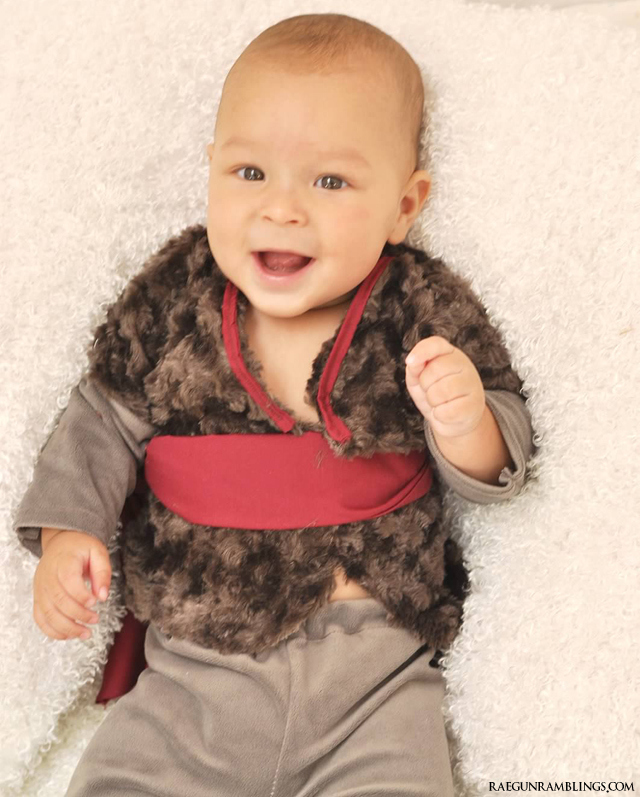 It needs to be long enough to reach from the edge of the fur sleeve to the wrist of your baby (you can use a long sleeve shirt to compare). Sew the shirt together at the shoulders. 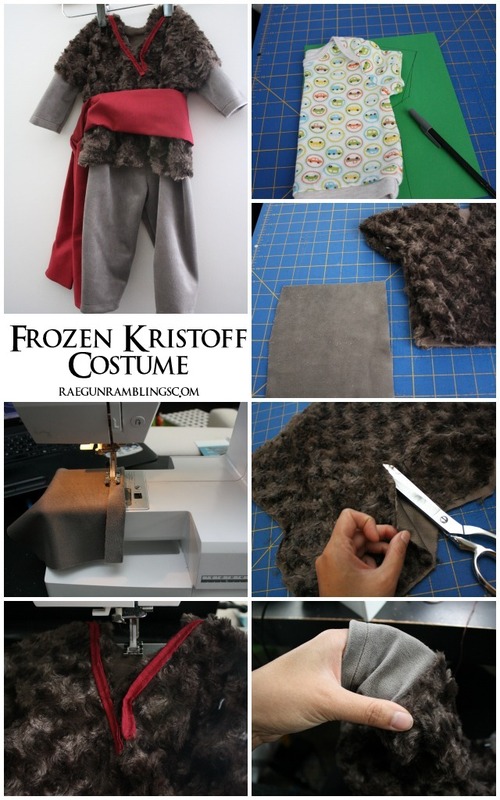 Fold the wrist side of your gray piece and sew under and hem. Then pin to the underside of the fur piece and sew. This will make it look like there is a gray shirt under the fur “vest”. With right sides together sew the sleeves closed and the side seams. Make your maroon trim by making a narrow tube of fabric sewing and turning right side out. Tuck the ends under and the sew around the neck area. Make your sash by cutting a strip of fabric long enough to tie around your kiddo’s waist 5 inches. Teddy’s is 5X44 inches. Fold in half lengthwise and sew down into a tube. Turn right side out and iron. Tie around the vest and your top is good to go. Sew your pants up according to the pattern directions. 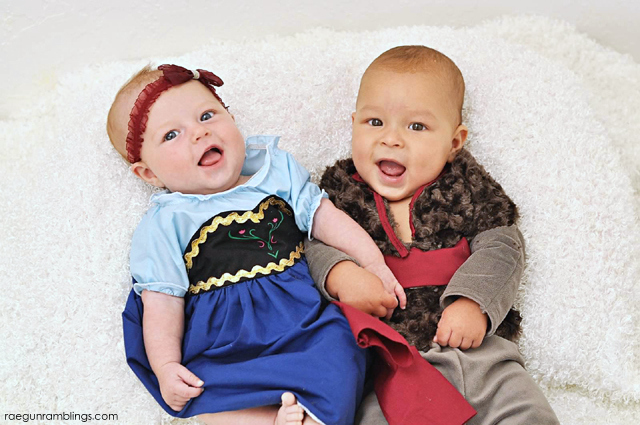 And if you haven’t already seen the Anna pictures you need to head over there are some real cute ones!